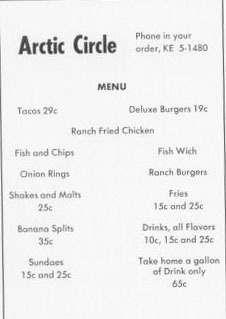 Menu: tacos, deluxe burgers, ranch fried chicken, fish and chips, onion rings, shakes and malts, banana splits, sundaes, fish wich, ranch burgers, fries, drinks - all flavors. Take home a gallon of drink only 65c. 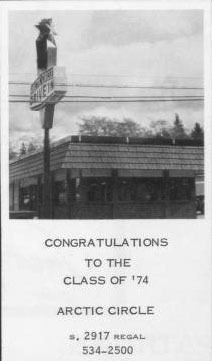 Phone in your order, KE 5-1480.